For those of you who haven’t yet tried it, Google Building Maker is our simple 3D modeling tool that allows you to construct buildings by aligning various types of blocks to photos - all from your Internet browser. 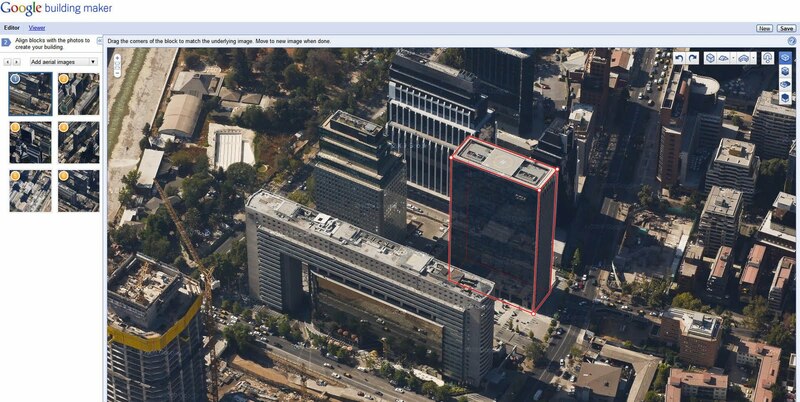 The completed models are automatically geo-located and then reviewed for inclusion in the 3D Buildings layer on Google Earth. When the tool was originally released last fall, users could create buildings in 50 cities. Since then, more cities have continually been added, and the growing tally is now at 94. As part of our latest offering, we’re excited to announce that the cities of Santiago and Valparaiso in Chile are the first South American cities available in Google Building Maker. We should note, however, that geo-modeling with Google SketchUp has been steadily increasing in that region for some time now. 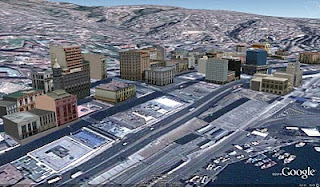 For example, avid user gananunez has been modeling in Valparaiso for a year and has more than 50 models in the 3D Buildings layer in Google Earth! Two other long-time users, GecKo StuDio. and Sergio, have been modeling Santiago since 2007 and each has more than 30 models in the 3D Buildings layer. Some users, like jgago93, are just getting started in the area. 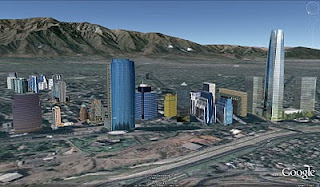 Now everyone can help model these two cities with Google Building Maker. 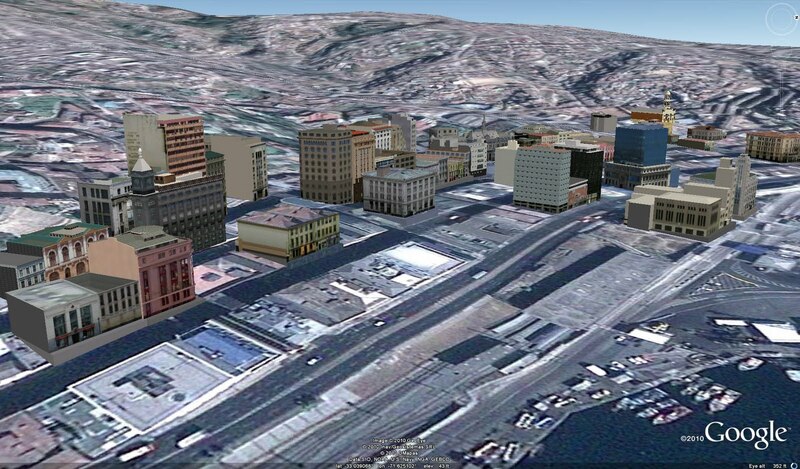 Click here to start modeling, and get your buildings on the 3D map! Great news.. Now waiting or "Concepción City"
Y LA SERENA TABIEN POR FAVOR. Any news of when Cairo, Egypt will be added to the mix? We are doing a project with the urban poor trying to model community improvements and have been working with architectural models from the Aga Khan Trust for Culture. If we could use Google Building Maker we would vastly be able to accelerate our philanthropic work. The more cities in developing countries we can start modelling, the more we can help direct development in positive ways! Thanks! Is there a plan to add Lima, Peru soon? PERU???? I WILL BOULD SOME BOULDINS...!! IM JUST WAITING FOR PERU! How come we won the worldwide contest of model your city? (thanks to Jorge DeAlbertis who did Barranco) and we are not on 3D already, I can't wait to build my neighborhood and the main sites from Peru...!